Lewis University has created the Office of Veterans Affairs and Recruitment as part of a continued effort to holistically support veterans and their families. The Office will recruit veterans to Lewis, assist in their transition to academic studies, support them and work to retain veterans and their dependents. Roman Ortega, Jr., who has served in the U.S. Army for more than 18 years and achieved the rank of Lieutenant Colonel leads the charge along with his sizeable team. “Lewis University has a long history of supporting our nation’s veterans through the Yellow Ribbon program and other support services. 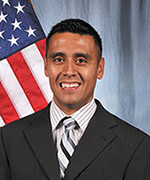 “Roman Ortega, Jr. will be a particularly fine leader for the office that will be a valuable resource for veterans and their families as they transition from serving their country into academic life, obtain their education as Lewis students and make further contributions to society in their careers and as alumni,” stated then President Brother James Gaffney, FSC. Ortega, who earned an MBA from Lewis University in 2013, brings an extensive knowledge of military service and higher education to the office. For four years, he served as the Director of Military Science for Lewis University and Olivet Nazarene University. The U.S. Army Lieutenant Colonel has combat arms and military intelligence experience, including multiple overseas tours ranging from Iraq to China. He currently serves as a Commander at Fort Sheridan, Illinois, with the U.S. Army Reserve. Most recently he was named President and CEO of Student Veterans of America-Illinois. The mission of SVA-IL is to rally, equip, and empower the 35,000 student veterans and student veteran organizations throughout Illinois. For his efforts, he became a finalist for the Corporate Citizen of the Year Award with the Executives’ Club of Chicago. This award recognizes an individual or company for outstanding contributions to the Chicagoland community in areas such as the environment, education, veterans’ initiatives, workforce development, or governance. More than 500 Lewis University students are Active Duty military or veterans. Many of them participate in the Yellow Ribbon Program, a provision of the Post-9/11 Veterans Educational Assistance Act of 2008. This program provides 100 percent of student tuition expenses, funded through Lewis University and the U.S. Department of Veteran Affairs. More information about the Office of Veterans Affairs and Recruitment is available at ortegaro@lewisu.edu or (815) 836-5339. He is an active supporter of the Office of Veterans Affairs. His duties and responsibilities include certifying student veterans to receive federal benefit credit from the VA, draft and administer financial aid packages for students, offer financial aid counseling to students, and coordinate financial aid options for students. 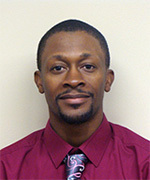 Marcus attended Benedictine University where he earned a Bachelor of Business Administration in 2008. He is an invaluable asset to the Office of Veterans Affairs. Marcus does not have a military service record, but he has dedicated himself to making education possible for many student veterans. The Graduate Assistant is responsible for coordinating all assignments and objectives set forth by the supervisor to the student interns. The GA fulfills the role of general office manager and serves as the link between the supervisor and interns. The GA is also responsible for helping highlight Lewis University to Veterans, provide support services, work on retention initiatives, and assist in training workshops for Veterans, Faculty, and Staff at the University. Federal work study interns are ROTC cadets and full time students on campus who work within the Office of Veterans Affairs as interns. They are real time students and officer candidates for the uniformed services. VA interns are student veterans utilizing benefits from the VA who choose to aid their local VA office as a paid intern. They are full time students at Lewis who work among the office staff.